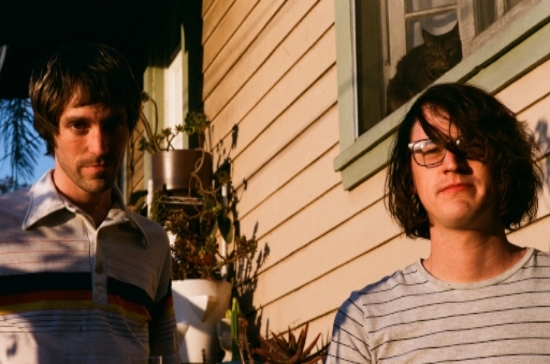 The Molochs hail from Los Angeles, but they hesitate to think of themselves as an 'L.A. band' in that classic sense. Operating in their own sphere, the duo crafted a remarkable debut album that matches indie pop perfection to scuzzed out Pavement style riffs. New album 'Flowers In The Spring' is set to be released on September 7th, and it's a return to the off piste brand of classicism that drove their debut to cult acclaim. "In 'I Wanna Say To You' I wanted to show The Molochs in their natural environment. Both Lucas and Ryan grew up in the Los Angeles area so I thought it would be good to make a video that showcases them and their city. I was aware of all the clichés related to the aesthetics of L.A. so I looked for an angle that allowed me to show their qualities without falling into redundancy. I thank the band and Innovative Leisure for giving me free rein in my creative process." Lucas adds: "Juan is not only a good friend but also someone who Ryan and I admire as a creative person. He called me one day from New York and shared with me his ideas for the video. I loved them and it was easy to let him do his thing. I trusted him to do exactly what he said, which was to use Los Angeles as a setting in a way that wasn’t so obvious yet still felt classic. It also forced me to stretch my comfort zone a bit in terms of being so in front of the camera. We all worked hard and I’m proud of what came from it."